As an #AwesomeAdmin, you are a champion of productivity. You rock at finding and creating solutions that help you do your job more efficiently. So, when common problems arise again and again, you need quick, correct answers. 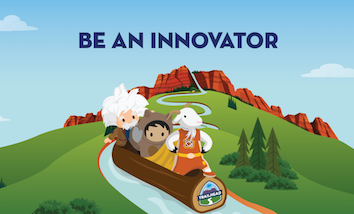 Learn how Ask Blaze, a Salesforce Einstein Bot that Salesforce Tech Support created helps Admins like you help yourself solve routine problems and find answers to common questions quickly—no waiting for a support agent! A bot is a piece of software that simulates a conversation with a human to accomplish a task. Ask Blaze is a bot built on the Einstein Bots platform. It offers a menu of items to help with login and service-disruption questions. Blaze is also trained to understand what you type in the text box and learns and improves over time. 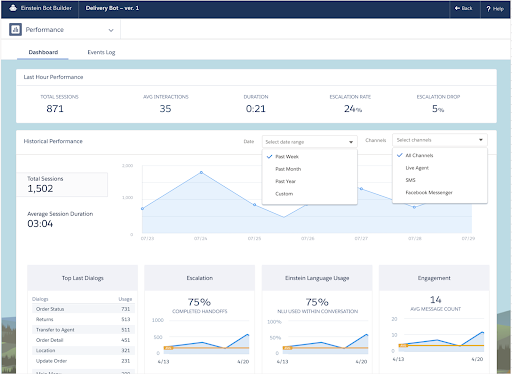 Salesforce on Salesforce: Why Choose Einstein Bots? Like many Salesforce customers, Salesforce Technical Support has a busy contact center. The team wanted a bot to address simple and recurring issues, enabling agents to focus on more complex issues. 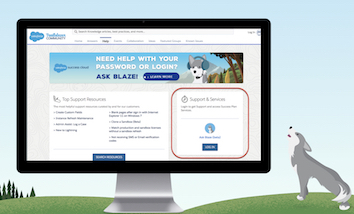 Salesforce talked to agents to understand how Blaze could help. After identifying reasonable use cases for a bot—login and service disruption issues—they got busy in the Einstein Bot Builder to create Blaze. 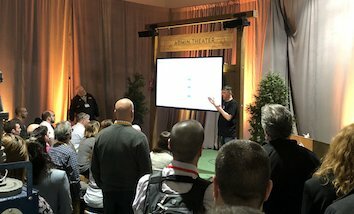 Because Blaze answers common questions, it frees up time for the Salesforce Technical Support team to focus on more complex issues where all of our Awesome Admins need more expertise and help. This way, everyone can be more productive. Did you know that you can build a bot like Ask Blaze for your business too? Reduce support case volume by enabling your customers to help themselves. Resolve simple and recurring issues quickly. 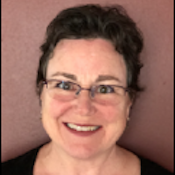 Lighten the load of routine questions on your agents. Increase customer satisfaction with self-service. Increase first contact resolution (FCR). Salesforce Technical Support started by launching the easy-to-use Einstein Bot Builder from Service Setup in their Salesforce org. 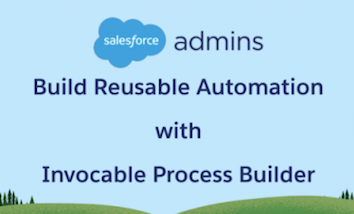 In the Bot Builder, you build dialogs that send outbound messages and ask questions to gather information. Your bot can even run flows, standard actions, and Apex code. A dialog is the workhorse of your bot’s interaction with your customer. Dialogs are conversation snippets that control what your bot can do. In this dialog, Blaze introduces itself, explains its purpose and scope, and gives the customer options to choose from. At the end of a dialog, you tell the bot what to do next. Your bot can wait for input from the customer, show a menu, start a different dialog, or transfer the customer to an agent. In this case, Blaze displays a menu of options. After you have trained your bot with common self-service questions, put your bot to work! Then use the Performance Dashboard and Event Log to monitor and troubleshoot your bot. Remember: bots aren’t humans. They can’t replace humans. But they can complement the support-chat experience, giving customers a friendly greeting and direct ways to get what they need. So, what if your customers want to talk to a human? No problem! Your customers’ interaction history with the bot is transferred to the agent console so they don’t have to start again from the beginning. Can a bot like Blaze help your customers? Let’s see—try building your own Einstein Bot! Check out the resources below to get started. 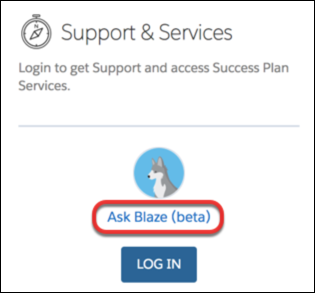 *As a beta feature, Ask Blaze is a preview and isn’t part of the “Services” under your master subscription agreement with Salesforce. Use this feature at your sole discretion. Salesforce may discontinue it at any time, and has no liability for any harm or damage arising out of or in connection with it.